The ‘Ranthambhore National Park’ may give multiple reasons to wildlife- lovers to visit this mighty land of Bengal tigers time and again, but those who have keen interest in ancient structures, are also going to find it worth a visit. Known for supporting a diverse range of flora and fauna, the park prides itself of the ‘Ranthambore Fort’, which is a part of UNESCO World Heritage. 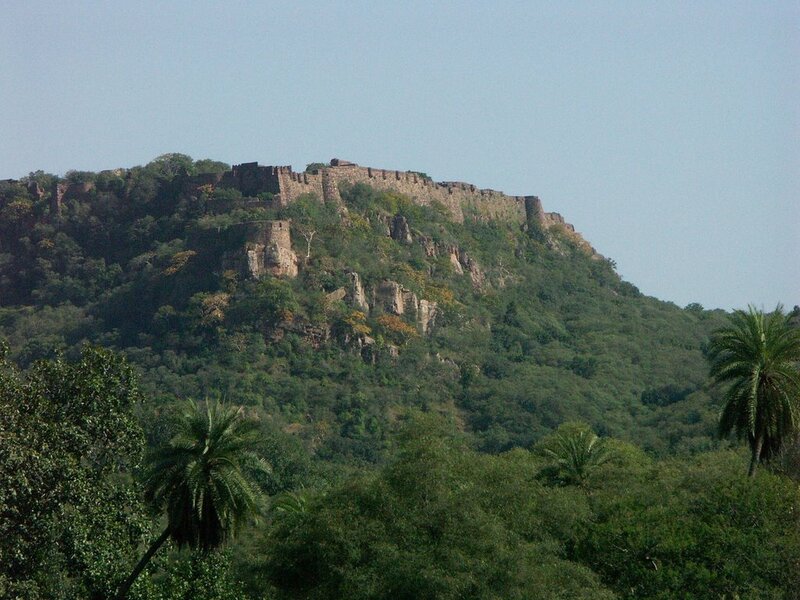 The fort is perched high on a hill of about 700 ft and is situated about 5 kms inside the park. Now, history-lovers too have a reason to throng this place that delightfully blends nature and history. The Ranthambore Fort stands majestically atop a hill overlooking the entire sanctuary and view of the park from the fort can only be described as breathtaking. Surroundings are amazingly refreshing and exciting. The environs keep getting better and better as one moves upwards, towards the fort. Whenever you pay a visit to it, do not forget to take along a good pair of binoculars and also a camera with a strong lens. Whether it is its history, geography or its rich flora and fauna, there is some magnetism in every feature. 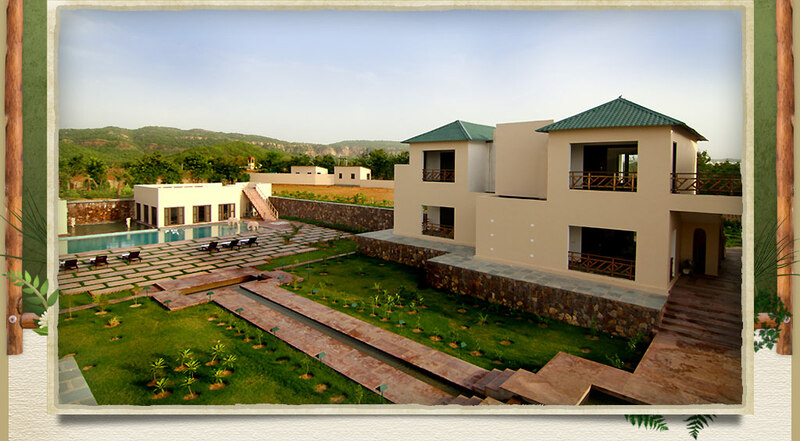 When it comes to finding the best accommodation in Ranthambore, the ‘Ranthambhore Kothi’ is an unrivalled option. The mesmerizing expanses of green forests, clear skies, unadulterated air and wild surroundings give eyes, lungs and ear a soothing break, while the personalized services instantly instill holiday cheer. We believe, it is the dining experience that makes the difference between a nice stay and memorable stay. Nestled by the thick vegetation with magnificent views, the Ranthambhore Kothi is the resort that serves something unique to stir travelers’ culinary curiosity in a relaxed, elegant setting. 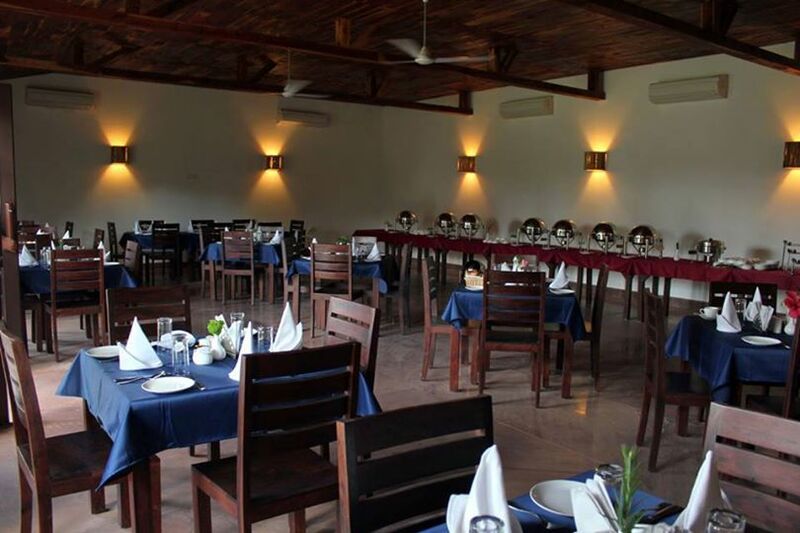 The dining area is wonderfully interiored with the lamps complementing the colonial styled architecture, offering a warm, contemporary setting for buffets that completely rejuvenates the mind. Dining experience is completely magical to soothe your tired nerves. 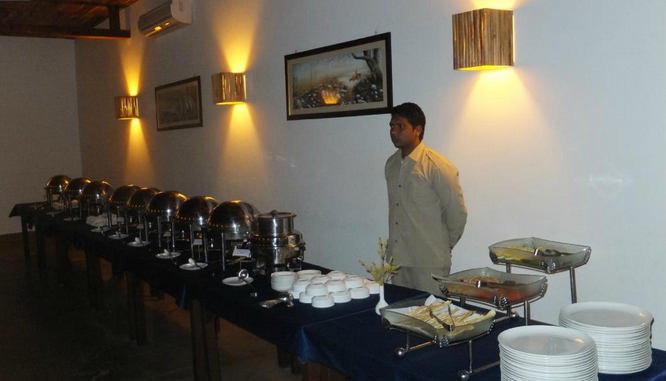 During your time in Ranthambore, allow us to serve you and offer a memorable dining and sojourning experience. 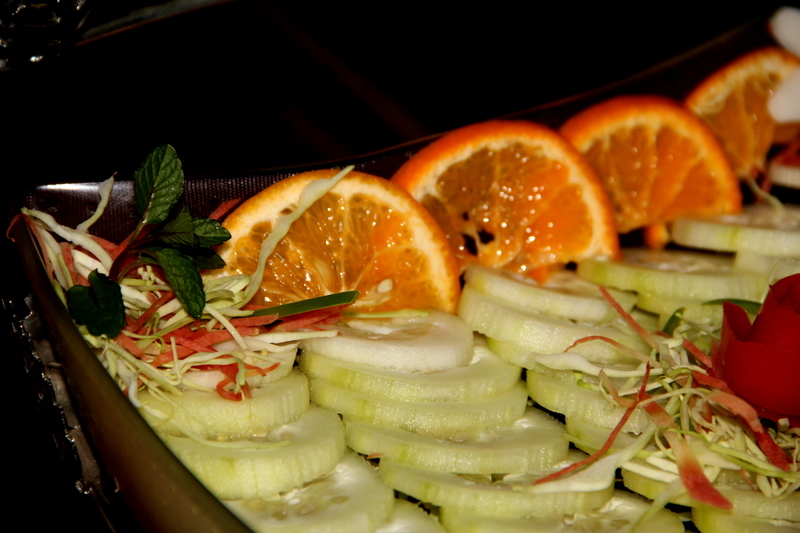 Our ‘Daavat’ Restaurant serves lip-smacking Indian and continental food. 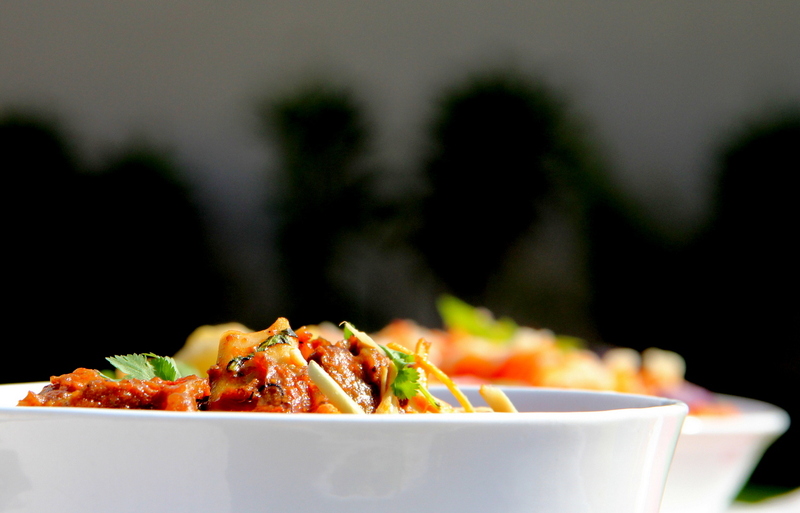 Ensuring a happy and satisfied indulgence, we meet the very highest culinary standards. Our chefs with their award-wining caliber create flavorful cuisine, using the freshest local and seasonal produce from the resort’s own grounds. Dining with us is more than a meal. We offer experiences that every fine dining connoisseur look forward to. We decorate tables with the finest appointments and handpicked tableware, allowing you to savor mouthwatering food with a wider choice and variety in a cozy setting. 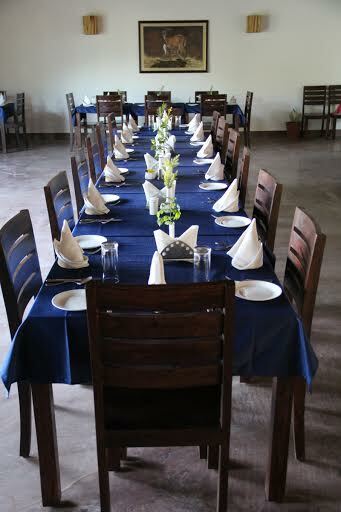 Our goal is to serve you professionally and attentively with a personal touch and that’s why we are at Ranthambhore Kothi are always full ready to cater you at our best. 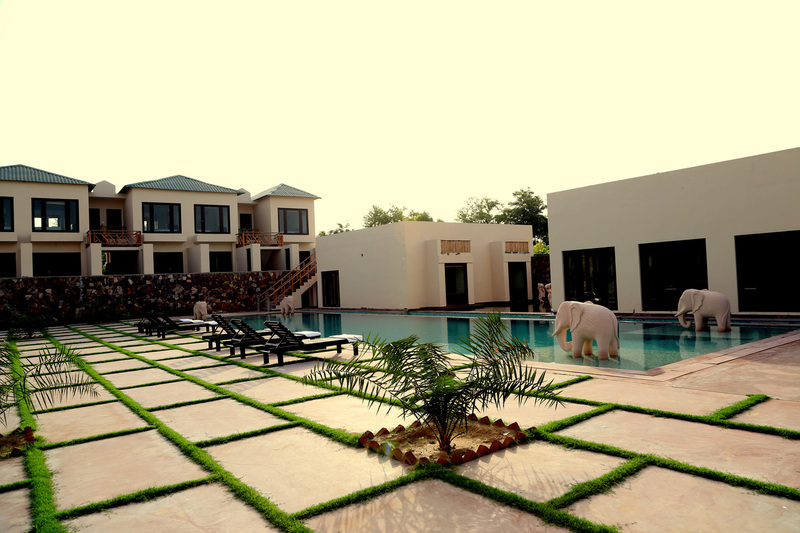 Plan a day with our family at the resort Ranthambhore Kothi and embark on an enchanting culinary adventure without having a foot set outside the hotel. We guarantee to leave you happy and contented. Splendid stay, finest food and impeccable service will truly provide you such a wonderful experience that you never feel like going home back.